Due to the financial crisis that Greece has been facing in the last few years, there has been an ongoing dialogue on a regional and national level, based on studies, public forums, and consultations. Through this dialogue we’ve seen the tourism sector identified as the main pillar of our economic development as a country. As a result of this, the need for a re-evaluation of our overall tourism strategy has become obvious. We need to create a development strategy that puts emphasis on quality, competitiveness, innovation, and technological know-how on an international level. The main elements of this strategy is to connect tourism with the natural and cultural resources that Greece has to offer, the integration of new technologies on every aspect of the tourism sector, as well as the transfer of interest to the supply of a holistic experience for visitors (Ε.Σ.Π.Ε.Κ 2014). Based on these three elements, Pros-Eleusis (Personalized ROuteS in Eleusis) seeks to enhance domestic entrepreneurship in the tourism and cultural sectors. We aim to accomplish that by adopting an innovative approach in the tourist experience; the creation of an Ecomuseum, as well as offering a digital tool that provides personalized and dynamic tours. 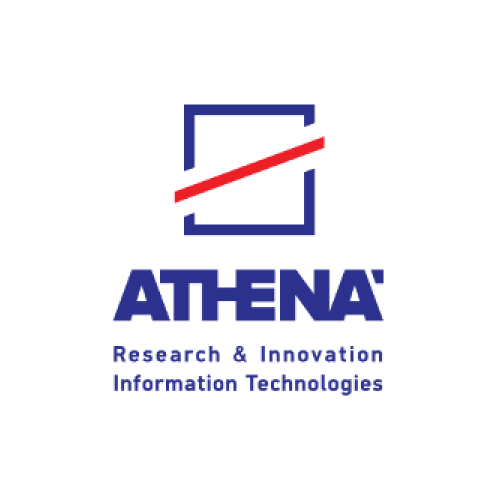 The mission of Athena RC is to conduct outstanding research in Informatics and Computational Sciences, tackling global challenges and local needs, and producing technological results with impact on other sciences, industry, and society at large. For more than 25 years, Athena RC maintains an innovation culture, developing high-end technologies, products and services, and cultivating synergies between the entrepreneurial and research worlds. It has founded 5 spin-off companies and is facilitating three industrial clusters in knowledge-intensive thematic sectors. The vision of Athena RC is to create knowledge and devise solutions and technologies for the digital society. It aims to serve the full spectrum of the research lifecycle, starting from basic and applied research, continuing on to system & product building and infrastructure service provision, and ending with technology transfer and entrepreneurship. The scope of activities of Athena RC includes all Information and Communication Technologies, covering all software and hardware aspects. These include all areas of informatics, data science, robotics, automation, signal processing, artificial intelligence, networking and digital communication, and modelling. Computational sciences form a strong component of the Athena RC activities, including – but not being limited to – computational linguistics, archaeology, engineering, medicine, biology, biodiversity, earth observation, space science, mechanics, and the arts. The key value of Athena RC lies in the deep expertise and extensive experience of its more than 350 researchers and other professionals. By participating in more than 300 R&D projects in the last 5 years and producing more than 1000 publications in the same time frame, the people of Athena RC are the ones giving it its strong international reputation..
the Information Management Systems Institute (IMSI), the Hellenic Technology Cluster Initiative (Corallia), the Space Programmes Unit (SPU), the Robot Perception and Interaction Unit (RPI), the Environmental and Networking Technologies and Applications Unit (ENTA) and the Pharma-Informatics Unit. Mentor focuses on Culture and Heritage Management (Mentor in Culture), and academic tourism/study abroad (Mentor in Greece). The company’s mission is dual. On the one hand, highlighting Greece’s tangible and intangible cultural assets and heritage. On the other hand, the research and promotion of ancient and contemporary Greek culture and philosophy abroad, through the design and implementation of experiential faculty-led education programs for students from all over the world, with the option of acquiring academic credits. Mentor’s team consists of cultural heritage managers, academic program developers, marketing and communication experts, social media specialists, interpreters, translators, web developers and designers. Furthermore, we cooperate with a wide network of academics, professionals, and tourist guides, in order to develop and implement our programs. Finally, Mentor’s strategic partnerships so far include Eleusis 2021 / European Capital of Culture, Hellenic American University & College, “Athena” Research Center, the Attic School of Ancient Drama, and others. Communication & Information Technologies Experts S.A. is enterprise activating in the area of CIT services and solutions. It has been founded on June 2007 in order to provide an umbrella for hosting a number of diverse yet interconnected expertise of its members and collaborators, under a legal entity. Under the form of Société Anonyme (Anonymous Corporation), the corporation aims to exploit this concentrated expertise in the area of Communications and Information Technologies (CIT) not in the direction of obtaining a market share through product lines, but rather in the direction of bringing high quality innovative solutions and highly focused expertise to its clients and the public, in general. Our two-fold business orientation covers innovative, rapid implementation of cost-effective solutions for companies and organization in the sectors of Finance, Telecommunications, Healthcare and Government services and highly specialized consulting services in the fields techno-economics and CIT system design. Major activity areas include: Large-Scale Information Systems Analysis and Design Technoeconomic Analysis and Evaluation of Telecommunication Systems and Services Management and technical ICT Consulting Highly Specialized Software Solutions Design and implementation IT Systems Quality Validation Evolving established methodologies to the state-of-the-art and beyond, via certified expert partners in every sector of activation, is our commitment.